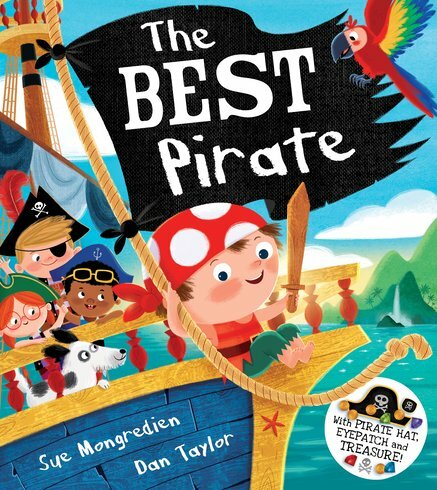 With pirate accessories to cut out and keep, this is the perfect picture book for all small pirate fans looking for a big adventure! Pirate Paul is the smallest pirate in the crew. He would love to climb the rigging, patch the sails, check for whales… or even scrub the portholes until they shine, if only he was allowed. The other pirates don’t let him do a thing because he’s too TINY. But when the rest of the crew get in trouble and fall into a nasty trap, it is little Pirate Paul who manages to save the day!